Print out a blank number chart for students to fill in the numbers. You may color code the boxes before printing. Color these interactive number charts to find patterns in numbers. Use them for counting exercises - counting by twos, fives, and tens. Also can be used as a multiplication visual aid. The charts below can help older elementary students find patterns with numbers greater than 100. Students measure teddy bears in one half unit increments. For every correct answer, an animation will play. Scores are given as the game is played. What is temperature? Learn formulas of how to convert different temperature scales (Farenheit, Celsius, and Kelvin). 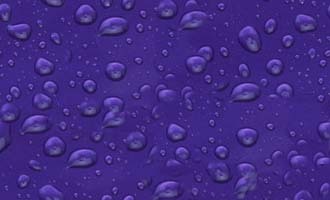 Use this temperature conversion tool to check your work. Choose from 3 helpers (levels of playing) to help you count a total amount on the table. Click on your helper when done, and he'll tell you if you are right! Unlimited number of money problems randomly generated. Figure out how many coins are needed to make up the total dollar amount. Do you know what President is on the one dollar bill? Can you scramble up this puzzle and put it back together in the allotted time? Beat the clock to find all the other symbols on the face of the United States $1 note. Do you know what President is on the five dollar bill? Can you scramble up this puzzle and put it back together in the allotted time? Beat the clock to put this President back together on the United States $5 note. Interactive math game that helps students find even numbers. 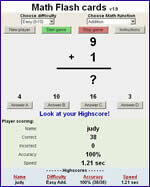 Interactive math game that helps students find odd numbers. One of the ghosts in the sequence is missing a number. Count by one to figure out the missing number to add to the ghost. One of the ghosts in the sequence is missing a number. Count by two to figure out the missing number to add to the ghost. One of the ghosts in the sequence is missing a number. Count by three to figure out the missing number to add to the ghost. One of the ghosts in the sequence is missing a number. Count by five to figure out the missing number to add to the ghost. One of the ghosts in the sequence is missing a number. Count by ten to figure out the missing number to add to the ghost. A dot to dot interactive game to reinforce counting backwards from 20. Numbers are spoken to reinforce number recognition. A fun way to learn math! The computer will select a number from your given number range. Try to guess the number the computer has chosen. The computer will tell you if the number is greater than or less than the number you think it might be. Try to guess the number in the least number of tries as possible! Now you can play one of your favorite dice games online! 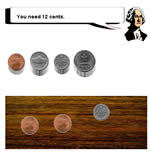 This interactive math game is just like the real Yahtzee game - but you don't need paper! Have fun practicing your strategy then play with Mom, Dad and your brothers and sisters offline! Generate your own subtraction worksheets to practice your math skills. Problems can be simple to advanced. Worksheets are different each time you generate them. Reinforce addition, subtraction, and multiplication facts. Practice your math facts with these flash cards! 2 player game practices sums of a number you set. Hit the correct key when your two numbers equal the target number. First player to get 10 points wins. Great for seeing all the factors of a number! One of the ghosts in the sequence is missing a number. Pattern is numbers squared. Great math practice for those "take aways" ! Answers print on separate cards. Blank cards can be used for extra challenge facts. Great math practice for those "divided-bys"! Answers print on separate cards. Blank cards can be used for extra challenge facts. Students match a digital clock face to an analog clock to learn how to tell time. For every correct answer, an animation will play. Scores are given as the game is played. Students drag hands of the clock to display the given time. Scores are given as the game is played. Look up dates in future months or years. Also look up dates in the past. What time is it around the world? Game will display your local time and all time zones around the world.